City Theatre's Pittsburgh-premiere production of Elemeno Pea is a lovely show about largely unpleasant people. 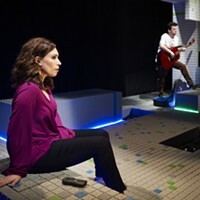 Molly Smith Metzler's 2011 one-act is high drama played as low comedy, as differently monied people clash about class. Well, it's not really about class issues, but it's mostly fun. No plot spoilers here (not that there's much of a plot). At the center of the action is the least unpleasant character, Simone, who positively exudes cheer and care at all the needy people around her. Her elder sister, Devon, needs her for family comfort. Simone's employer, Michaela, pays her big bucks as a personal assistant, and really, really needs her. And then there's Simone's unlikely swain, Ethan, unabashedly superficial and selfish as the rich brother of Michaela's billionaire husband, stashed offstage. Not needing Simone as much as a compass in life is the caretaker, personifying the cliché servant in two modes: sycophantic and surly. There are any number of story possibilities here. Three working-class girls from upstate New York go to college and rise to various parts of the middle class, then take on the old-money 1 percent. Michaela marries into it. Simone gets "perks and bennies" working for it. Devon openly disdains it, boorishly bad-mouthing her hostess (i.e., her sister's boss) sight unseen. And there are various themes about family, siblings drifting apart, reasons to marry, setting one's own goals, etc. 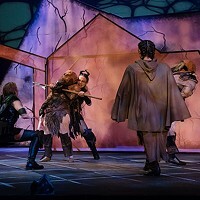 Once again, City artistic director Tracy Brigden has combined a talented cast and design/tech team. Robin Abramson is prettily and perfectly perky as the one-time Buffalo gal Simone, plugging into preppie culture (bless the lime greens and "salmon" of Robert C.T. Steele's costumes). 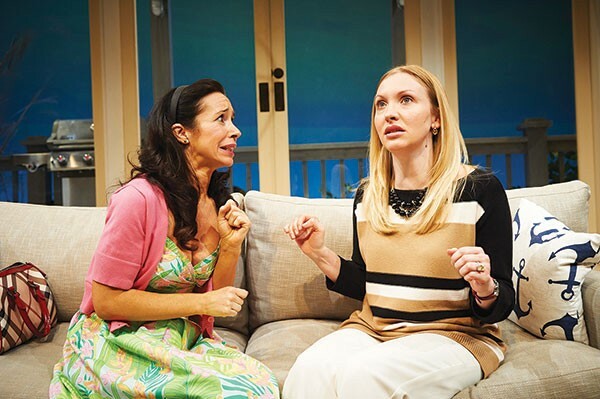 Kimberly Parker Green beautifully chomps scenery as the trophy wife watching her life fall apart — and what gorgeous scenery it is, a coolly modern luxury guesthouse by City resident scenic designer Tony Ferrieri. Ariel Woodiwiss grows from snarly to sympathetic as sister Devon. 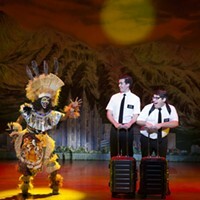 While the ladies do dominate Elemeno Pea, the gentlemen also deserve a hand: Anthony Comis as a darling dolt, and Tony Chiroldes as the put-upon caretaker. The situations comprising Elemeno Pea's comedy may be muddled, but there are laughs as various ends are satisfyingly tied.